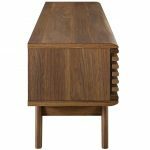 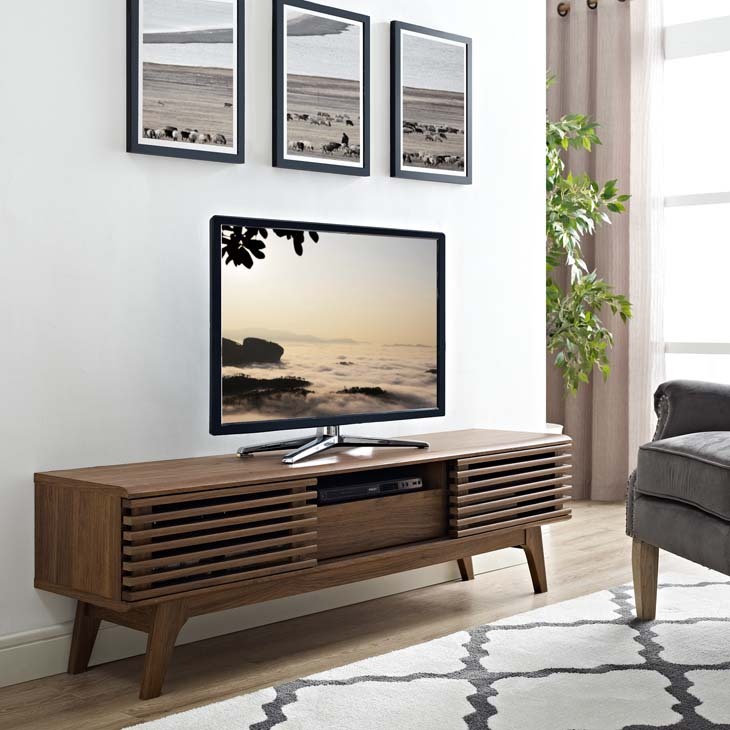 Tap into mid-century aesthetics with the Render 59” TV Stand. 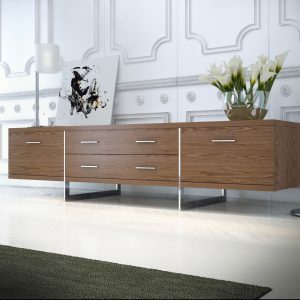 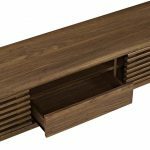 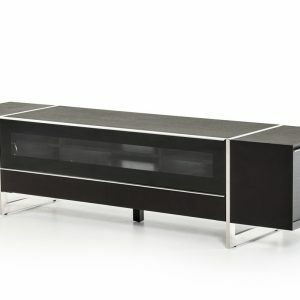 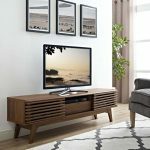 Render features a durable particleboard frame with smooth walnut grain veneer, four tapered wood legs, full-extension center drawer with shelf on top, non-marking foam foot pads, and opposite side adjustable shelves with dual slatted sliding doors for sophisticated media storage. 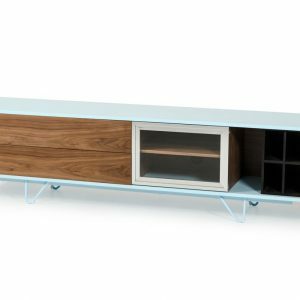 Complete with cable management holes on both sides, Render’s contemporary linear style is the perfect addition to the modern living room, lounge or recreation area.